1. Set rack in the middle level and preheat oven to 315 degrees. 2. Grease and flour the inner bottom surface of your cakewich pan. 3. Combine the flour, baking powder, and salt in a bowl. 4. Whisk together the egg whites and milk by hand, just til combined. 5. 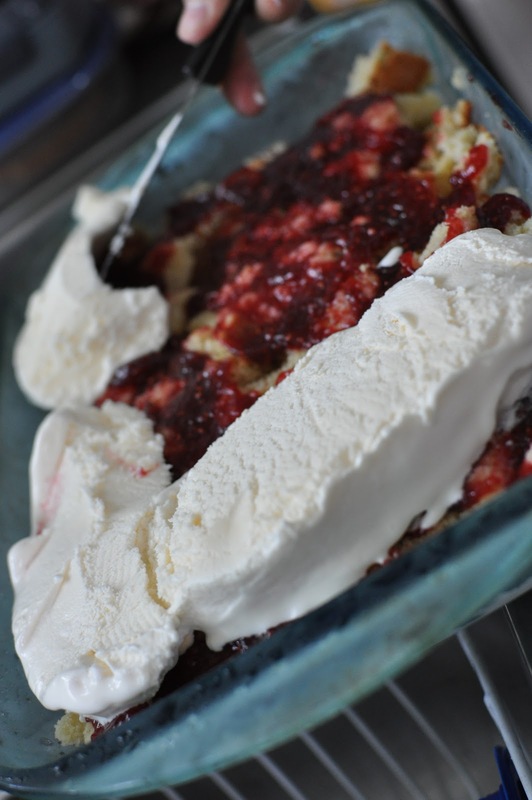 In a heavy-duty mixer, cream butter and sugar until light and fluffy, about 5 minutes. Add vanilla and beat vigorously. 6. Reduce speed to low and add 1/4 of the flour, then 1/3 of the milk mixture, mixing just until combined, scraping the bowl and beater after each addition. 7. Scrape the bowl well with a large spatula. 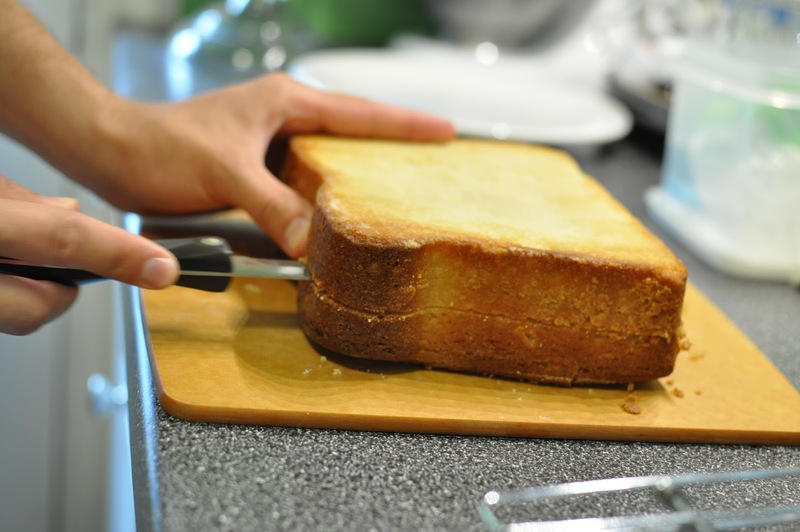 Pour the batter into the cakewich pan and smooth the top. 8. Bake about 60 to 70 minutes, until a toothpick inserted in the center comes out clean. 9. Cool the cake on a cooling rack for one hour, then unmold it to finish cooling right side up. Always do the toothpick or knife check! 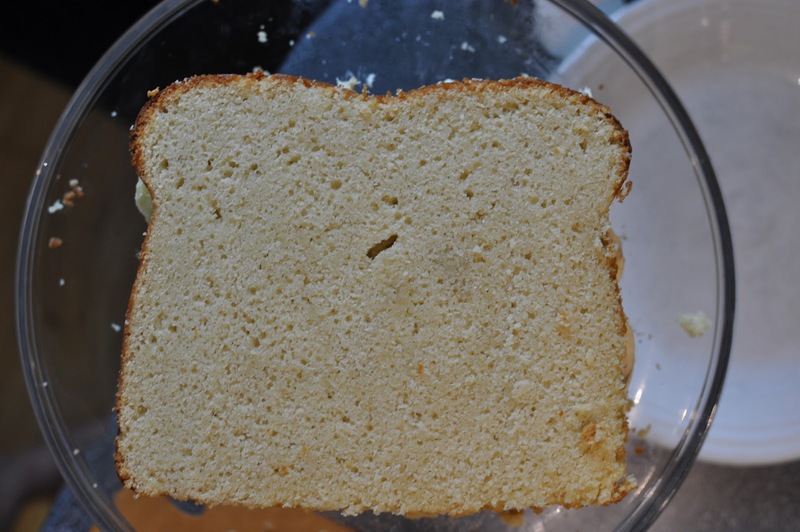 To assemble the sandwich cake: use a serrated bread knife and cut off the dome of the cake, this is the rounded top. Then, cut in half horizontally. 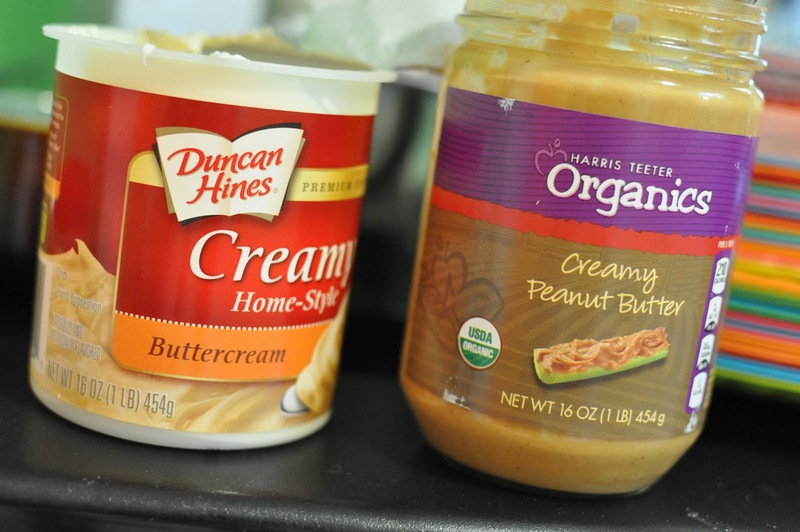 Make, prepare, or open can of frosting. I used store bought buttercream frosting with a few tablespoons of peanut butter mixed in. 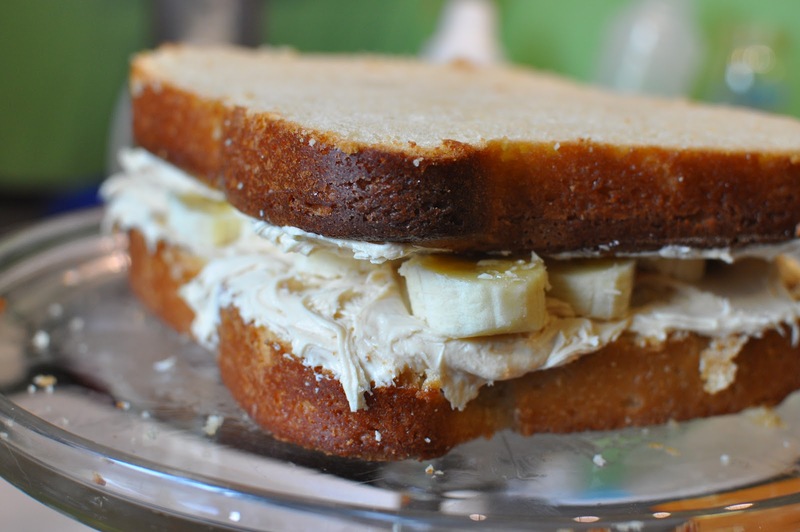 I added banana slices to make this even more of a Greta favorite. Assembled cake looks like a sandwich! Top shot of the cakewich. Onto the exploding cake debacle from the previous day. After a little fuming at myself, I figured that this would be a perfect way to create a new cake experience. I headed off into the unknown territory of ice cream cakes. This was a totally new thing for me to make and I make it without anything other than my own flavor creativity. 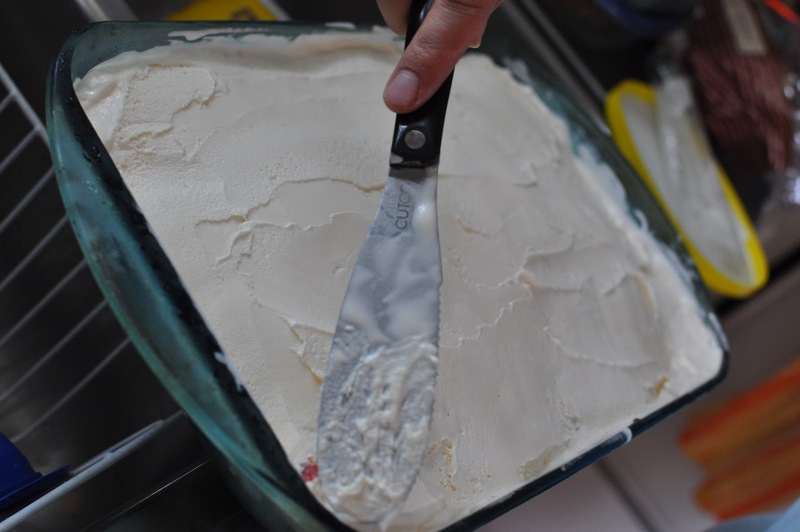 The first step was to chop up the cake and press it into a 9 x 13 inch glass pan. This was then frozen for a couple of hours. Next step, layers. 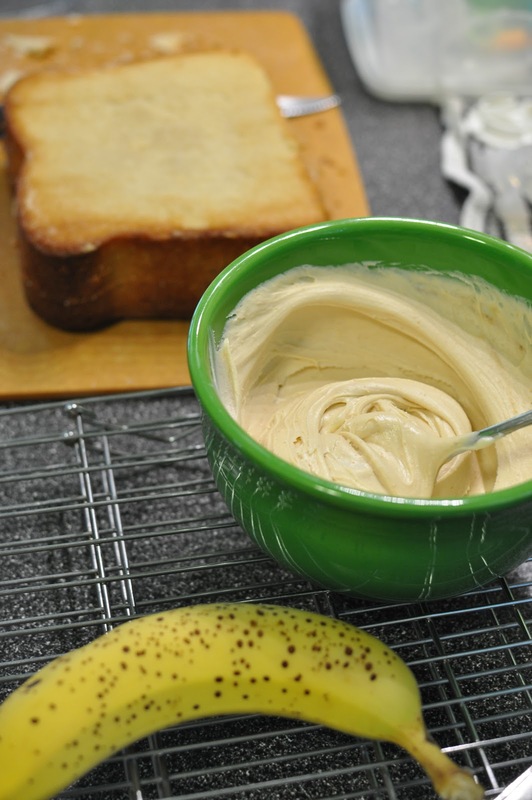 Since the cake was a lemon poppy seed pound cake I decided to play it safe with my layers. I started with a layer of red raspberry jam. Next, was a layer of vanilla ice cream. Let the ice cream sit out and thaw a bit before using. If it is softer, it will spread more easily. 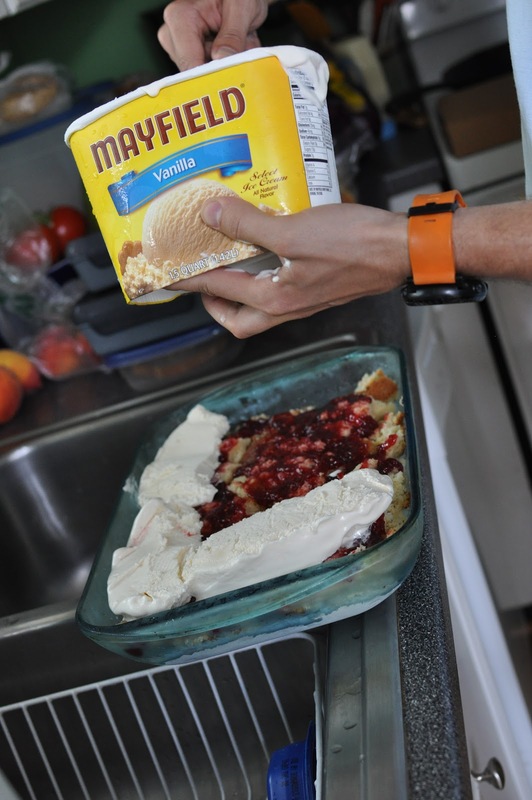 Eric used the entire 1.5 quart ice cream container on this layer. This Cutco spreader is the best I have used for spreading and slicing! I added some sprinkles and froze the cake until it was time to eat. Greta enjoyed her cake, luckily the candles were not lit. 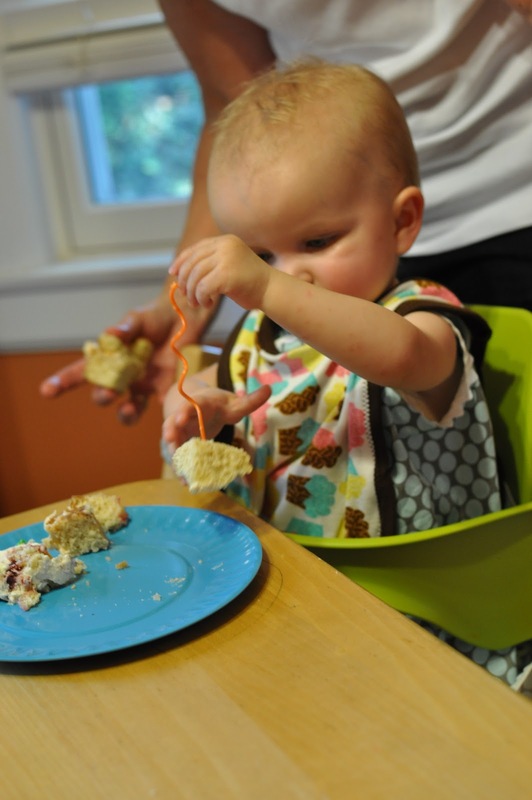 The evidence of the cake on her birthday bib. Check back tomorrow for the first birthday menu.